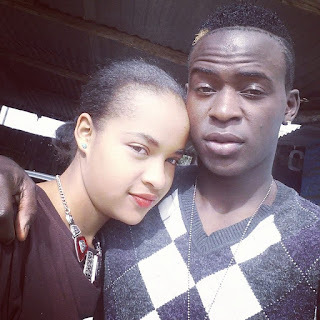 Mid last year, controversial gospel singer, Willy Paul, caused a buzz on the blogosphere after it emerged that the lady he was dating was a bh@ng addict. Photos of Willy’s girlfriend smoking the holy herb surfaced online and despite many people criticizing him for falling in love with a lady who know less about God and more about drugs and alcohol, he put it clear that nothing would separate him from his yellow yellow girlfriend. But months later, they had a bitter break-up after Willy Paul physically assaulted her. After their break-up, Willy’s ex-girlfriend has moved on and she has decided to flaunt the new man who is warming up her bed. See him in the photo below.